Hans Beck, the Director of Classical Studies in the Department of History and Classical Studies, has embarked upon an ambitious research project looking at the emergence of localism in the city-states of Ancient Greece. The project, funded in large part by a grant from the Alexander von Humboldt Foundation, will focus on how, in reaction to the ever-expanding Greek empire, many Greeks turned their gaze inward toward local culture, customs and community. 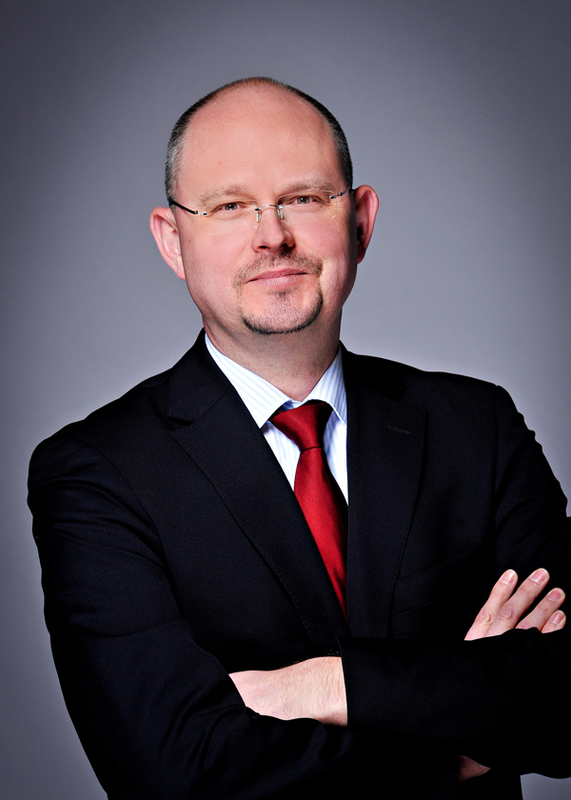 Ancient History professor Hans Beck won the Alexander von Humboldt Foundation’s prestigious Anneliese Maier Research Award. Hans Beck, a professor of Ancient History, the John MacNaughton Chair of Classics, and the Director of Classical Studies in the Department of History and Classical Studies, knows a little about irony. Beck’s project, entitled the ‘Parochial Polis’, is an in-depth exploration of the force of localism in the ancient Greek world. Beck’s research, which sees him collaborating with Peter Funke from the University of Münster in Germany, is supported by the Alexander von Humboldt Foundation’s Anneliese Maier Research Award, worth approximately $400,000. Ancient Greece went through a number of periods of intense cultural expansion. By the 6th century BCE, Greek city-states had established colonies in areas that today are Italy, France, Spain, Libya and the Black Sea region. But Beck says that the extension of the geographical boundaries of Hellenicity was counterbalanced, to a certain degree, by a mental reaction toward insulating – and even protecting – these Greek city-states through a growing sense of localism. “We tend to use the word ‘local’ as a descriptive term to refer to anything from folklore to food, tastes, and traditions. We value local produce or we write local history,” says Beck. “But the ‘Parochial Polis’ project starts with the assumption that the local is in itself a formative force in human interactions and that humans are exposed to this force without actually realizing it. Their ideas of ‘the local’ steers them in their decision-making practices every day – how they view the world; and how they view events in their immediate environment and in their not so immediate environment, meaning an increasingly globalized world,” says Beck. Ancient Greece is particularly fertile ground for this type of research because of the high density of state units in a fairly small natural environment. These city-states were in constant interaction with each other; hence the high degree of interconnecticvity. Yet each city-state also constituted a local world of its own. “As soon as you look closely, you’ll see xyz city priding itself in one thing and the next city prides itself in the exact opposite,” says Beck. “It’s almost a brand-labeling competition. Sometimes this is about fairly pedestrian and down-to-earth things such as music and dances, or skillsets of local artisans, but all of this also impacts their understanding of politics and how they view and construe narratives of the world around them. “As the Greek world grew larger, every generation saw goods, ideas, materials, and people travel further, wider and faster. There was an incredible dissemination of knowledge,” says Beck. “But at the same time, there was this very strong preoccupation with and preeminence of the local. On top of making it possible to go full throttle on the ‘Parochial Polis’ initiative, the prize money from the Alexander von Humboldt Foundation means Beck will be able to enlist the help of a lot of people, both from the Department of History and Classical Studies and from abroad. Beck spends a lot of time talking about the Department – and the Classical Studies branch in particular – and the pride in his voice is obvious. 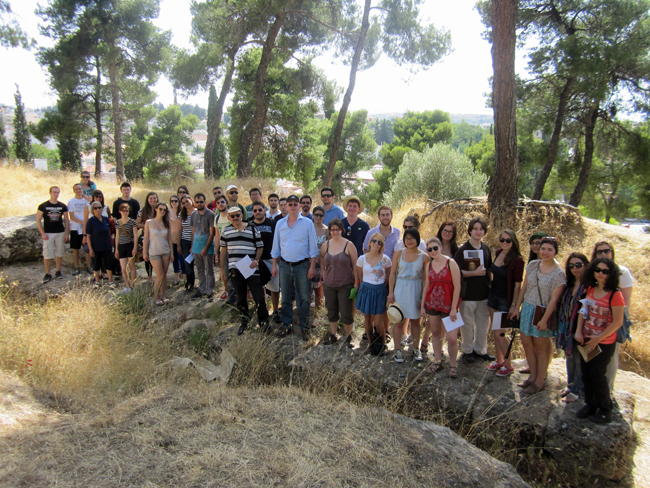 Professors Hans Beck (centre, blue shirt) and Kostas Buraselis (University of Athens) (centre striped shirt) with McGill students at the site of the Ismenion in Thebes. The two researchers will run a conference this May at the European Cultural Centre in Delphi. A case in point: Last year the Classical Studies unit organized an event at the Musée de Beaux Arts making cross-cultural comparisons between ancient Greece, Rome and China. A room was booked with a capacity for 120 people but much to Beck’s delight, over 200 people showed up. “If I walked around the room and asked ‘Why did you come to this Classics talk?’ I would get 200 informed or not so informed opinions. But I’d get opinions. We look at questions and ideas that matter to people and that they can relate to.